Looking for a trustworthy Boiler Repair, Installation and Maintenance Plumber in the Easton, PA area? 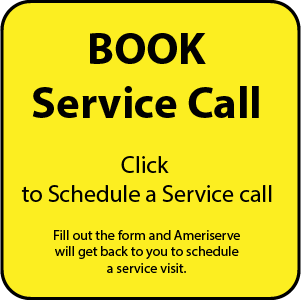 Call AmeriServe anytime (610) 258-2591 and schedule a service call. In operation since 1995, we at AmeriServe have provided the finest boiler services in Pennsylvania. We’ve carefully acquired professional Boiler technicians and dedicated experienced plumbers to produce a trusted team. We have knowledge of any type and brand of boiler. We repair, rebuild and retrofit on site. We do installation, advise on upgrades, engineering and support systems. We keep up to date on cutting edge fuel costs, look for the best way to cut greenhouse gas emissions and improve environment comfort with the underlying intent on ensuring your system’s performance is maximized and cut costs. We can improve the resale value on your home, or help your office get necessary certifications for being green. During the year, your heating system accumulates dust and dirt, making it less efficient and costing you additional money in utility bills. After reviewing 500 service calls from last year, we discovered that 62% of these calls were due to a problem caused by lack of a regular heating tune-ups and maintenance. That’s why AmeriServe has developed a comprehensive 21-point tune-up and professional heating system inspection. Our comprehensive services include casing repair, boiler retubing and start up, code welding, blower, refractory and superheater repair and much more. Our techs are experts in tube cleaning, hydrostatic testing and control and safety examinations. We’ll do it right the first time or we’ll do it again … for free! 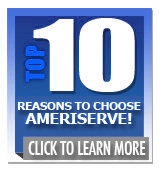 AmeriServe stands behind its products and services. A well maintained boiler makes for a pleasant home or office. If workers are comfortable, productivity goes up. If family members are content, the house is peaceful. That’s why we take regular boiler service seriously. A boiler not operating at capacity not only disrupts everything, it could signal a threat to safety. Poorly maintained gas appliances can emit carbon dioxide gas. It could even be doing this as it warms the building. This is a major reason a boiler should be examined at least once a year, especially before the coldest seasons. 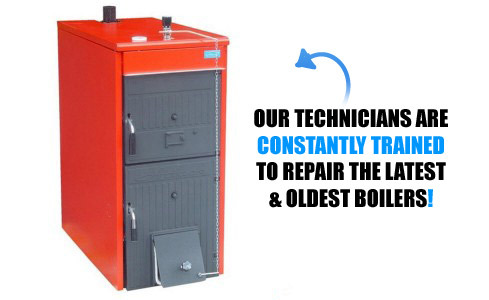 We’ll take care to examine any and every facet of the boiler to make sure your model is safe and functioning properly. We’ll take to correcting any issues promptly. If you were in need of a new boiler, AmeriServe is ready to advise and get you through the process of replacing and installing a new unit. We’ll gladly help you locate the most technologically advanced and affordable replacement. 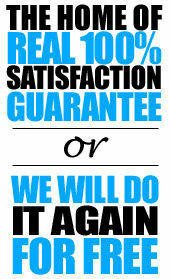 We’ll install it and stamp it with our guarantee that you have no longer have a problem. Otherwise, we’ll come back and correct it … for free! AmeriServe is a certified plumbing company. We are ready to put 20 years of experience at your beck and call. If you suspect a problem with your boiler or it’s time for a maintenance check, call AmeriServe today.